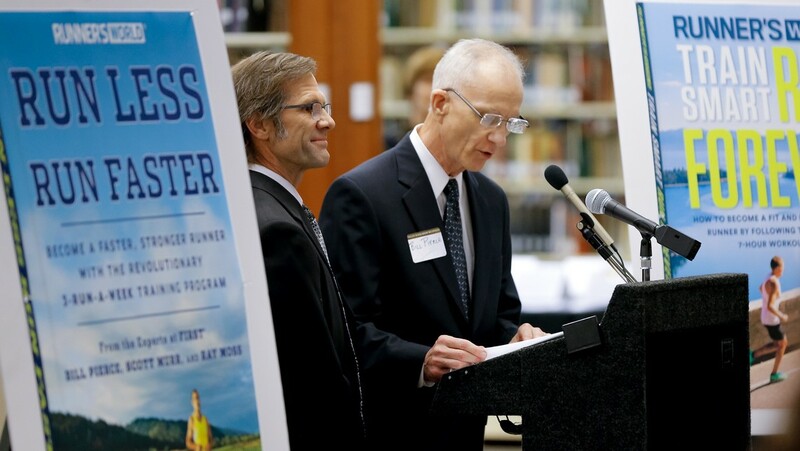 The second annual Faculty Scholarship Reception took place Feb. 23 in the James B. Duke Library. Scott Murr and Bill Pierce of Health Sciences were among the presenters. 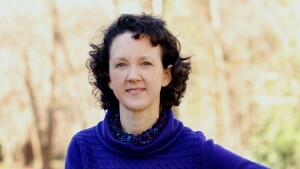 Faculty scholarship is happening all around Furman. Even on top of classroom requirements, advising, grading, serving on committees and attending meetings, professors from all disciplines are collaborating with students, delving deep into scientific and behavioral questions, and fostering creativity—all in the name of scholarship. The place where colleagues can collectively showcase this work is the Faculty Scholarship Reception. 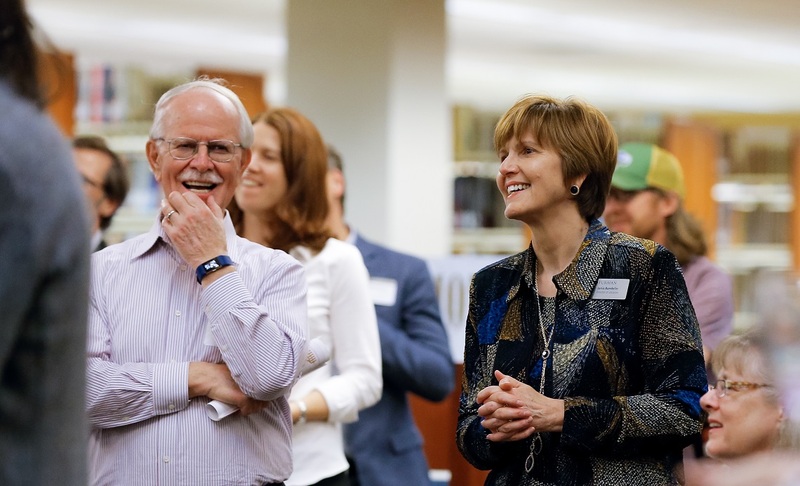 Furman University Libraries and the Office of the Provost hosted Furman’s second annual reception Feb. 23 to recognize and celebrate the scholarly publications and creative works of Furman’s faculty. Chemistry professor Greg Springsteen attempted to stay within the four-minute talk window. 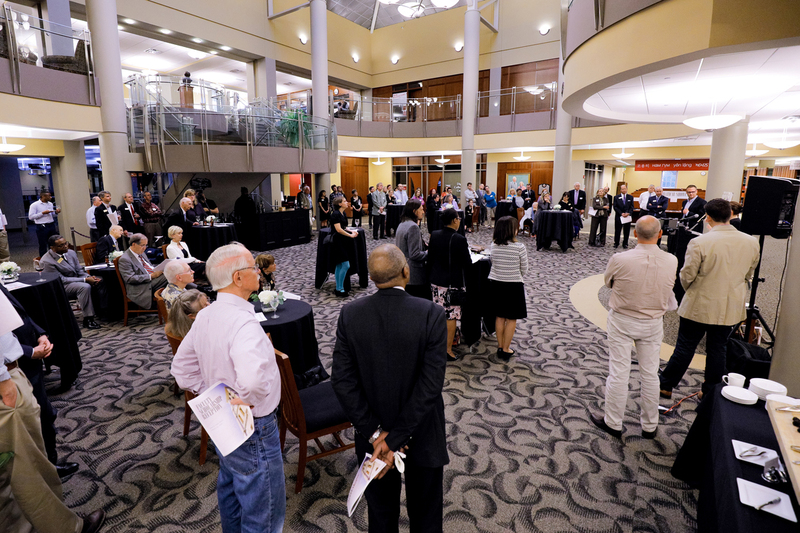 Held in Blackwell Atrium of the James B. Duke Library, the reception highlighted 137 examples of scholarship by 70 faculty members representing 22 academic departments. There were also six faculty members who displayed sabbatical projects. 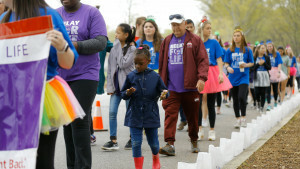 About 100 guests, including faculty, staff, senior administration and Board of Trustees members, mingled with scholars, listened to remarks from a select few in “speed talks” and looked through the many displays. The reception drew about 100 guests. 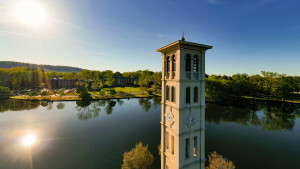 “Our talented faculty and staff are the heart of what makes Furman special, and that is why we are able to take our history of engaged learning and push it an extra step to achieve The Furman Advantage, ensuring every student benefits and nobody slips through the cracks. 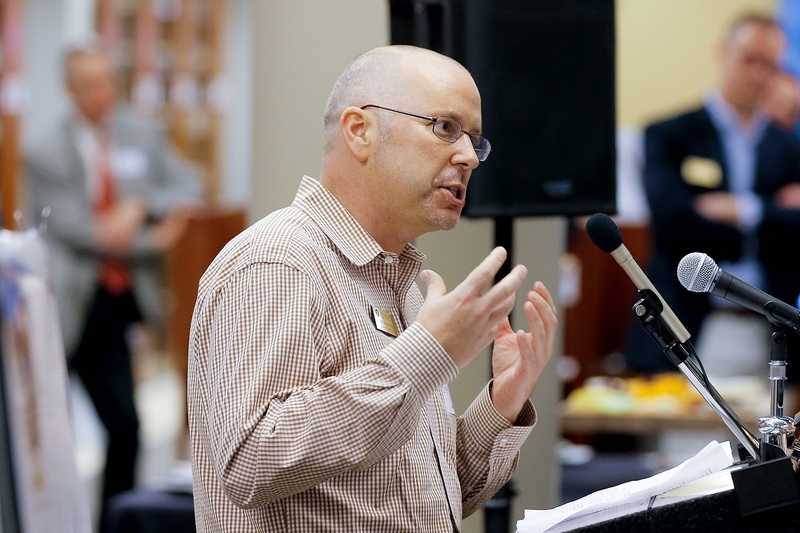 Faculty scholarship directly affects every student on campus, either through classroom teaching or through faculty-student research projects,” said Furman Provost and Vice President for Academic Affairs George Shields. So, faculty scholarship is only part of the story at receptions like these. Student/professor collaborations and relationships are fostered, and students become newfound colleagues. How better to prepare undergraduates for lives of purpose and meaning than to come alongside them and involve them in research? Director of Libraries Janis Bandelin (right) opened the reception. 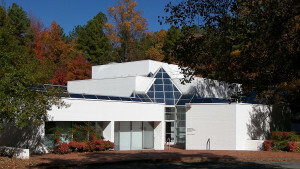 For more information, contact Janis Bandelin at 864-294-2191 and janis.bandelin@furman.edu. Last updated March 12, 2018 .